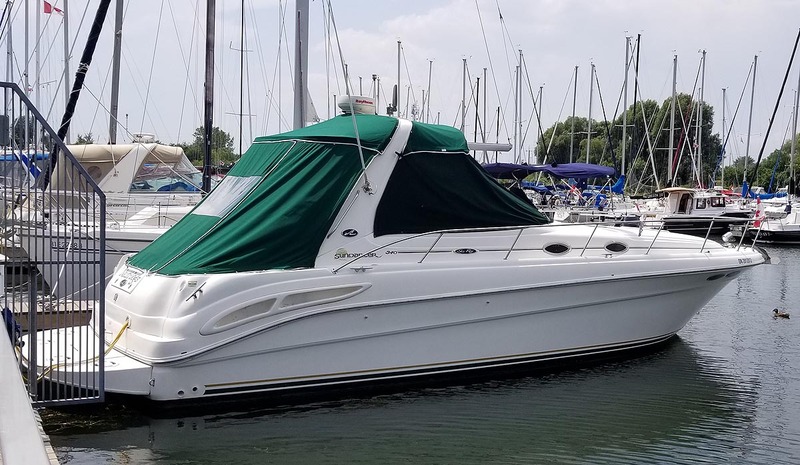 2001 SEA RAY 340 SUNDANCER FOR SALE IN THE WHITBY AREA EAST OF TORONTO, ONTARIO, CANADA SIMILAR TO THE 2000, 2002, 2003, 2004 AND 2005 MODELS..
Ac/Heat, genny, radar, windlass, cockpit ice maker/freezer, spotlight, GPS, VHF, TV, stereo, cockpit top with windows, hydraulic engine cover, screens and privacy panels. 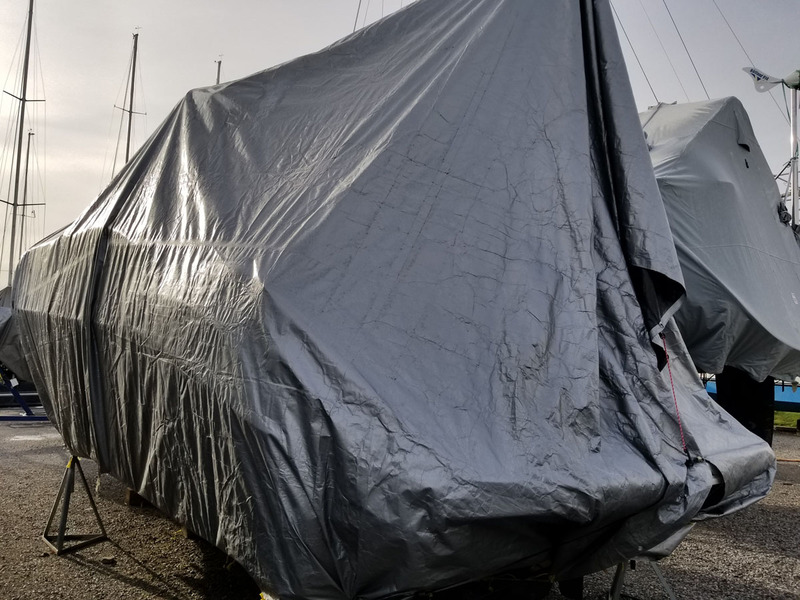 This boat owner covers all cockpit upholstery when he leaves the boat ... so it is in "like new" condition. 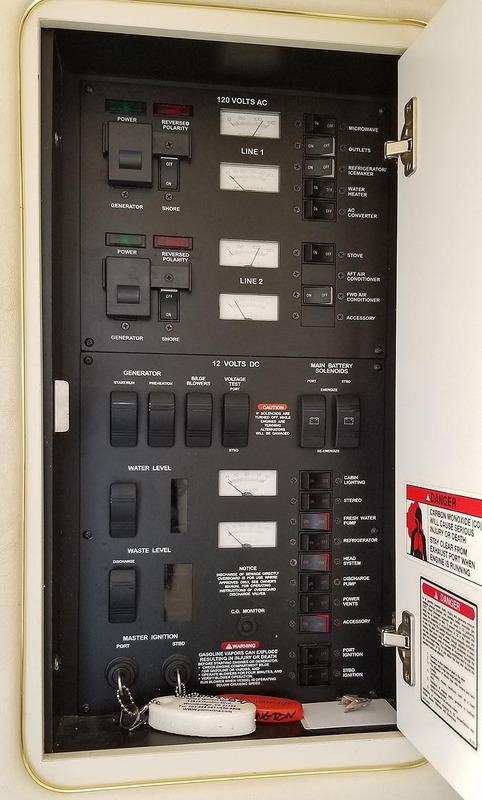 The boat is powered by twin Mercruiser 6.2L MPI 350hp engines serviced by local marine mechanics and stored year round at Whitby Harbour. 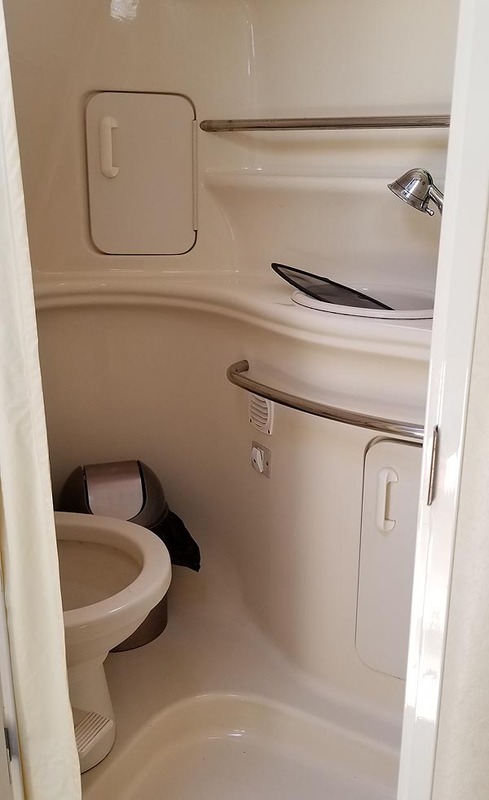 The slip is included until the end of the boating season. 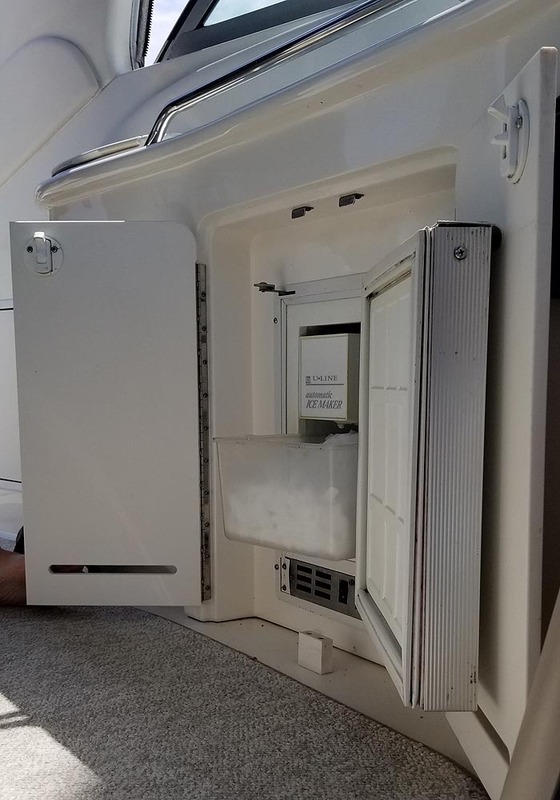 there is no exchange rate to apply to the purchase price and the boat is already here in Ontario. 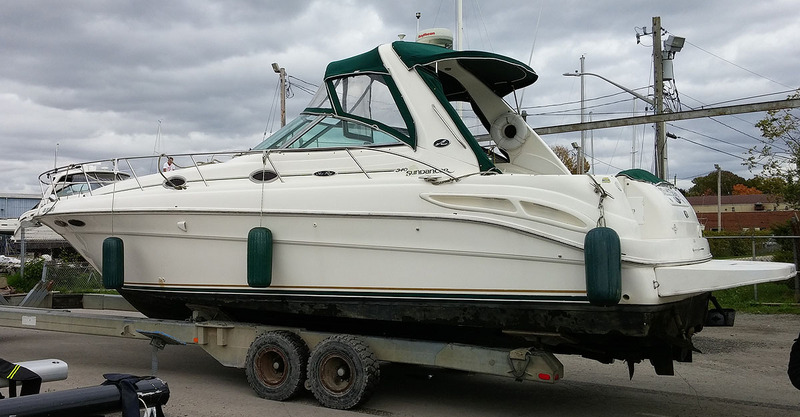 Arrange for your personal inspection of this boat after March 15th, 2019, by calling 905-626-5487 or emailing murray@ontariomarinebrokers.com . 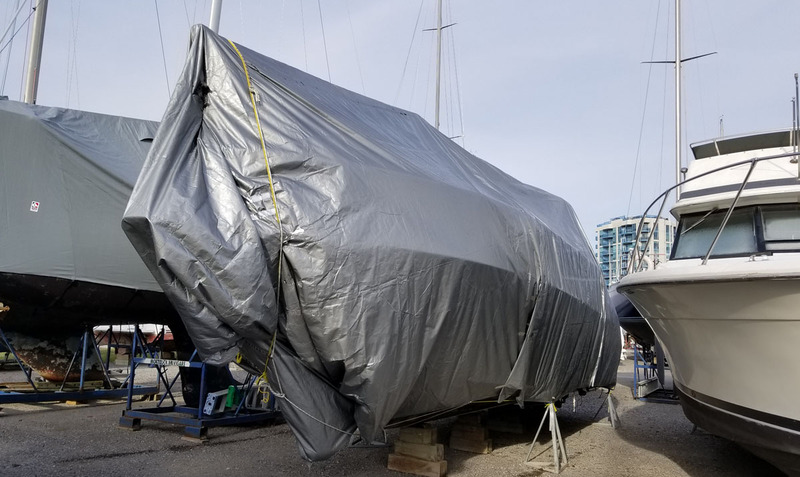 Arrange for your personal inspection of this boat after April 15th 2019 by calling 905-626-5487 or emailing murray@ontariomarinebrokers.com . Brighton, Trenton & Belleville areas from our slip in Trent Port Marina in Trenton east of Brighton and west of Belleville, Ontario.